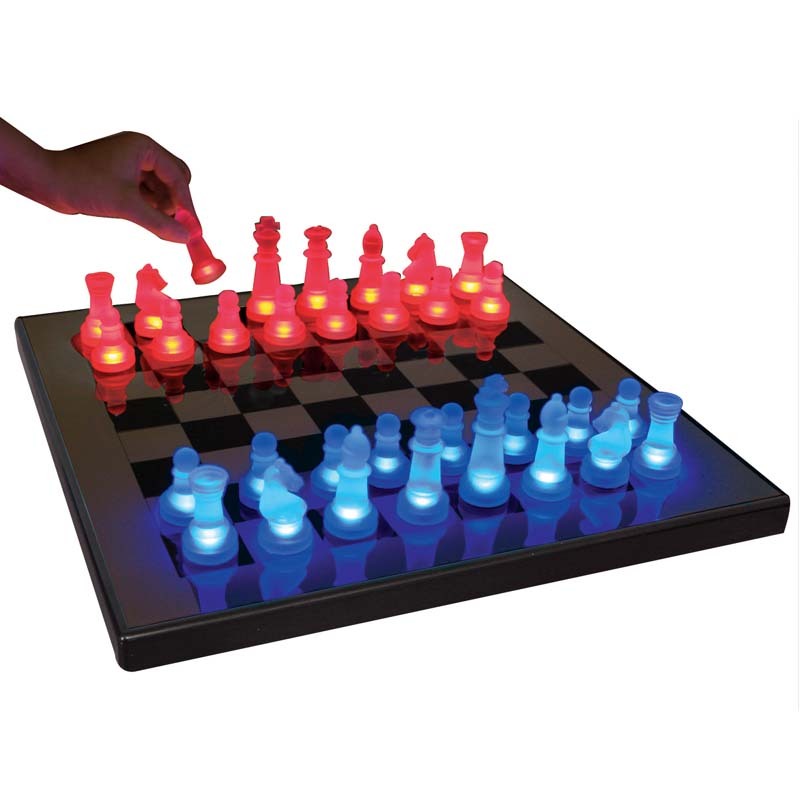 More on the LumiSource Glowing Chess Set (Blue and Red) SUP-LEDCHES-BR below. This LED Chess set is truly unique. The chess pieces light up with no batteries when they are on or near the board! Dazzle your chess partner and procure a win! One set of chess pieces glow blue, the others glow red. Board lights up when connected to chess pieces. Includes a power adapter or you can use four AA batteries (not included).